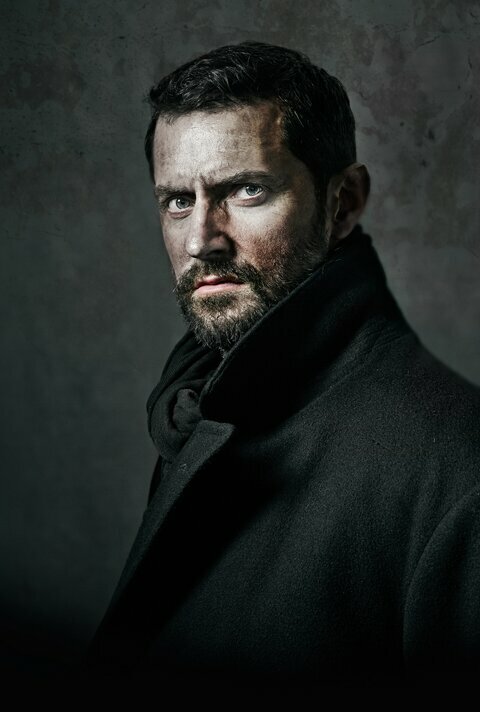 KatharineD digs deep into the background and credentials of the moving force behind Richard Armitage’s new project. Now that we know Richard Armitage is taking on the role of Chop in the movie Urban And The Shed Crew (thank you for confirming, imdb), it’s time to find out a bit about who’s behind this project, namely film maker Candida Brady, the English creative director from Blenheim Films. We’re all hoping for a high quality production, and everything I’ve discovered certainly points to that being the case. Candida Brady comes from a very creative family, all members being heavily involved in the arts. Her mother is TV scriptwriter and prolific romance novelist Charlotte Bingham, who, amongst other work for television, wrote three early episodes of Upstairs Downstairs with her husband, Terence Brady. He himself is an actor, writer and painter with a long list of credits to his name. Brady’s brother, Matthew, is a ballet producer who founded his own dance company. Candida (b.1965) trained as an actress, but then turned to journalism, working as a feature writer for the Daily Mail, and later The Sunday Express, as well as spending time as a news reporter for Selina Scott’s show on BSkyB. Documentary film making had always been her ambition, so, with that aim in mind, in 1996 she founded Blenheim Films with her husband, Titus Ogilvy (son of English actor Ian Ogilvy), an experienced producer and cinematographer. Blenheim began as a small production company, operating from a garden shed in the Oxfordshire countryside. The company’s first production, Waiting For Marco, was a four-part TV series following the trials and tribulations of six months in the life of one of Marco Pierre White’s restaurants. In 2006, Blenheim Films approached the International League For The Protection Of Horses (ILPH) in Britain, to make a series of programs about the organisation’s work in investigating cases of reported cruelty and neglect of horses. This was a subject about which Candida felt strongly, having been around horses in her rural upbringing and it led to the 12 part series, Horse Patrol. In 2009, Blenheim produced Madam And The Dying Swan, a film which tells the story of the four ballet dancers who have danced the original steps of The Dying Swan. Beginning with Anna Pavlova’s famous rendition of the solo, it documents the life of Dame Ninette de Valois, the founder of The Royal Ballet, and highlights how, in 1980, de Valois passed on to ballerina Marguerite Porter, the version of Pavlova’s solo she had notated in 1913. The film shows Porter teaching the steps to her chosen successor, ensuring the dance would stay true to it’s original form. The film was narrated by noted actress Samantha Bond, and was given a screening at The British Film Institute in August 2012 as part of a special event, Anna Pavlova On Screen. The screening was followed by a Q&A with Brady, Ogilvy and the dancer Marguerite Porter. Brady spent two years extensively researching and filming Trashed, taking on multiple roles of producer, director and writer. Jeremy Irons came on board as an executive producer, as well as being the narrator on the ground. During April 2011, Irons and the film crew visited Iceland, Vietnam, Brazil, France, Beirut, and San Francisco. As stated on the film’s website, Irons sets out to discover the extent and effects of the global waste problem, as he travels around the world to beautiful locations tainted by pollution. Irons managed to convince his friend Vangelis, the Academy Award winning composer, to write the score for the film. The Director of Photography was Sean Bobbitt, the cinematographer on Steve McQueen’s acclaimed Hunger, Shame and Twelve Years A Slave. The film’s website has extensive links to related organisations and environmental initiatives. Blenheim was invited to show Trashed as a special screening at The Cannes International Film Festival in May 2012. David Gritten, film critic for The Telegraph, wrote a short piece titled Candida Brady: the new Brit at Cannes. Brady’s proud father Terence, recalling his daughter as a young, asthma-prone child, wrote a piece on his blog just prior to Cannes, admiring Candida’s tenacity in chasing the necessary finance, and for taking great care in making a documentary on a subject about which she was passionate. Trashed garnered considerable notice, dealing as it did with a serious, topical issue and, having such a well-known actor as the face of the film naturally helped it’s publicity. Irons was eager to promote the film and it’s subject matter, attending many screenings as it aired at over forty film festivals large and small around the world in 2012-13, often including a Q&A session afterwards. The film won a number of international awards, including, at the 25th Tokyo International Film Festival, the Earth Grand Prix Special Jury Prize. In March 2013, Brady and Irons took the film to the Zero Waste Conference at the European Union in Brussels, and Irons was a featured speaker at The New York Times Energy For Tomorrow conference in April that year. The film was also shown at several Parliamentary assemblies, including the British Houses Of Parliament, and the French National Assembly. Matthew Chapman of The Huffington Post urged everyone, but especially NY City Hall, to go see the film and take note of it’s findings. It seems clear that Candida Brady, the creative force behind Blenheim Films, is willing to devote considerable time and resources to making films about subjects that resonate strongly with her, and deliberately takes on the combined roles of producer, director and writer to ensure the quality and vision of the finished product. She gathers a talented creative team around her, to help complete the film making process. Mr Armitage- I’d say you’re in good hands. This entry was posted in Uncategorized, Urban and the Shed Crew and tagged Urban and the Shed Crew. Bookmark the permalink. ← More Richard Armitage in Jewelry? Thanks, Micra. The only question mark I have now is how Candida Brady goes directing a project that isn’t a documentary, which is, as far as I’ve been able to ascertain, her only film work to date. The passion is certainly there, though. They could film it as it was a documentary, though. It could be the right angle. Don’t know, it depends heavily from the adaptation. As we said before, the book couldn’t be filmed as it is, so… anything is possible. It’s more about performance now though, isn’t it? With Trashed, it would all have been about getting the right locations and camera angles, rather than the correct pitch of emotion, or characterisation. As you know, I’m now lalala-ing about actual plot details, so I’ll take your word about all that. Yes, performances will be crucial. Because so many things are narrated by the author, regarding the back stories of many member of the shed crew and Chop himself, they surely had to re-write it entirely. And if they succeed in giving it a street-real a real-life form… well, it could be perfect. I only read the first fifty pages, and I’ve decided to stop there and wait to see the film first, so I’m pleased if those of you who’ve read it find this info to your liking. She’s a trained actress, so that should help. And she’s working with some fine actors – so that should help. I’m feeling really good about it. Yes- unfortunately I wasn’t able to track down any details of where she trained, or whether she ever acted at all, but that may help. She’s someone who does the things she does very well, has a good track record, and probably would not take something on that she thought she couldn’t handle. You could try and find out what other directors started with documentaries. I bet a few of them did. I’m certain she’ll have done her homework, and from what I’ve learned about Trashed, the projects are more than just a simple piece of work- there will be ongoing information about the underlying social issues that go with it. There could well be special screenings on behalf of charitable organisations that take care of homeless children, or pitches to government bodies to do more to solve the problem. Sorry, just signing up for notices. Thank you for this, it was really interesting to read! (: Odd that I have never heard about Trashed because it discusses about so important matters. Definitely a ‘must-see’ document. Hopefully I can find it somewhere..
Thanks-I’m pleased you found it interesting. If you go to trashedfilm.com, the home page has a number of links for renting or buying the doco. 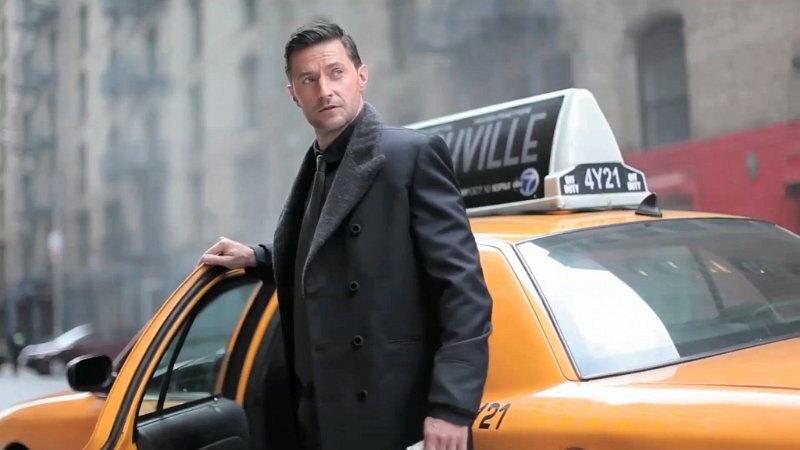 For Richard Armitage who said that he has to work from a book or script to give him clear guidelines, I can only foresee that it will be one of his best! In this instance he has a book, a script, and Hare himself right there on set, so triple whammy! Thanks. I think it’s a win for both sides- Richard and Blenheim Films will both benefit from this collaboration, bringing dedication and care to the project.